We wanted to thank you for your support over the years and your interest in the faith and sports world. We count it as a great privilege to bring you stories that encourage and hopefully challenge your faith, and we will continue to do so in print, digital, and online formats. Before you get too upset, we will make it up to you (read below). We have found, by our digital statistics, that most of our subscribers are unaware that Sports Spectrum became a monthly magazine in the last year. By not printing this issue, it allows us to introduce our readers to the online experience and all the extra content we have produced for you. We feel like this is the best way to make everyone aware of the additional content we offer as a part of a subscription. We want everyone to attain the entirety of the Sports Spectrum experience and feel like they’ve gotten their money’s worth. In the last year, Sports Spectrum has added eight digital issues for you to help make the $27.52 you spend for a subscription worth the money. Instead of only receiving four issues a year, you now receive an issue every month (12 issues a year), returning the magazine to it’s frequency in the 1990’s. We know this may upset some of our loyal readers by not sending you a printed copy, but to make it up to you, we are extending every subscriber ONE PRINT ISSUE to make up for not printing this time. This will extend you for another three months of digital, online, and print content. We ask you for your continued prayers as we try to produce faith and sports content and survive in our struggling economy. Thank you for not only supporting Sports Spectrum by ordering our products but also praying and thinking of us during these challenging times. By you doing that, you help us continue the mission that God has called us to do. 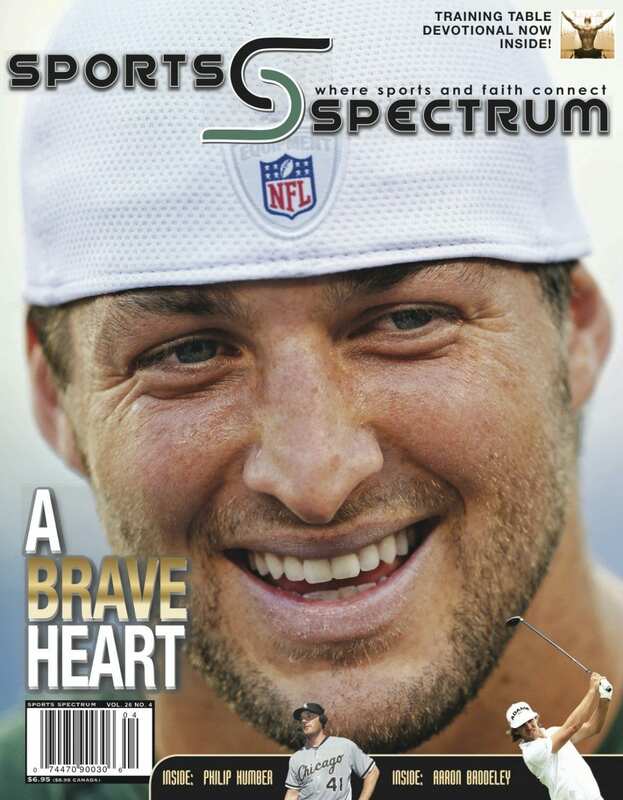 Though we have expanded our digital platform, we, at Sports Spectrum, still recognize the beauty of print and hope to forever produce Sports Spectrum magazine in print format. We will resume printing the magazine with the next, regularly scheduled, print issue, Vol. 27 No.1 (WINTER 2013). Thank you for your continued support of Sports Spectrum magazine.